Do you knit (and/or crochet) in the summer? If you are knitting, do your pattern and yarn choices change for the season? The pattern is written for Berroco Ultra Alpaca Light, a delicious sport weight but as you can see here, it works beautifully in Berroco Ultra Alpaca, too. Also from Portfolio Vol. 1, some of the knitters in the Baby Cocktails Ravelry group have organized their own Rye knit-along, you can join them here. Rye is one of my favorite pieces from the collection and I hope to make one of these for myself. So if I can squeeze in the time, I’ll join too! 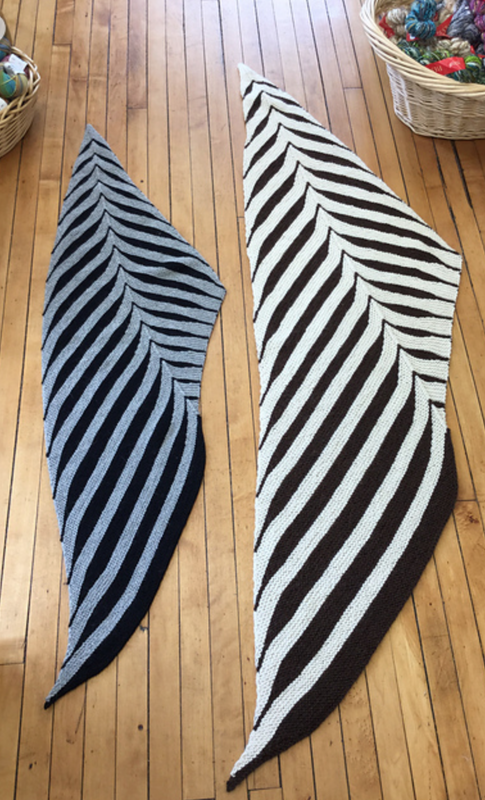 We have a knit-along of our own running in the Berroco Lover’s Group on Ravelry. It’s a summer-long celebration of booklet #367 Berroco Home. Ashley, our social media maven, has been super busy with this one creating clever adaptations of several of the patterns. You can check out her innovations and join the K/CAL here. I knit all year round and I’ve been obsessed lately with your Modern Cotton yarn. I made three Togue Pond tanks in a row for myself and my BFF. Currently I’m working on pieces for fall! Next article Emily Explains: How do I seam crochet slippers?